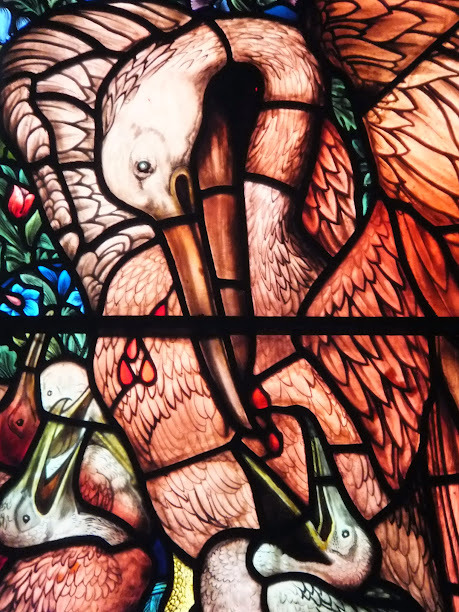 In ancient Europe it was believed that the pelican would cut its breast open with its beak and feed its young with its own blood if there was not enough food, even though pelicans don’t actually do that. 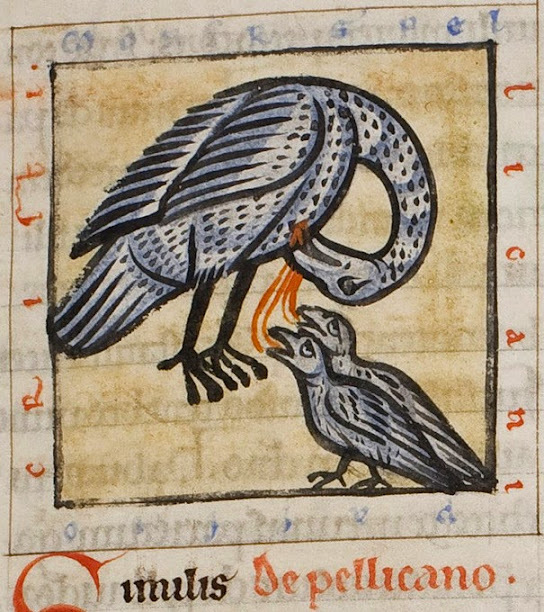 Some even believed that the pelican had the power to bring its dead young back to life by giving them its blood. 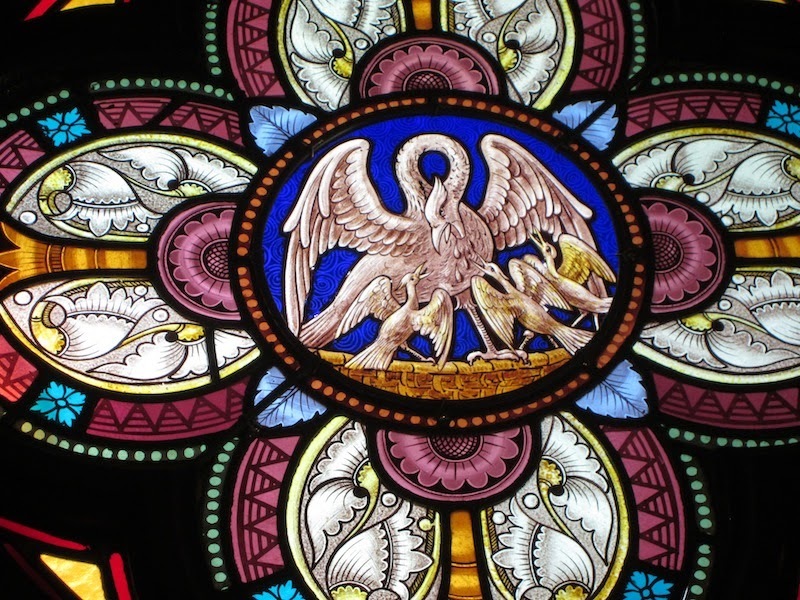 Because of that belief, the pelican became a major symbol of self-sacrifice and charity. 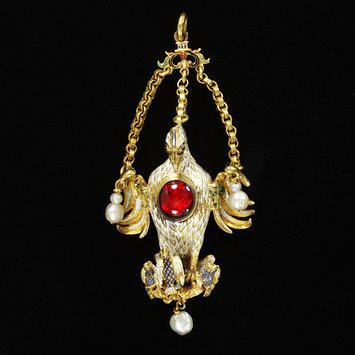 Early Christians had adopted it by the 2nd century and started using it in texts and images, making it a very special bird. 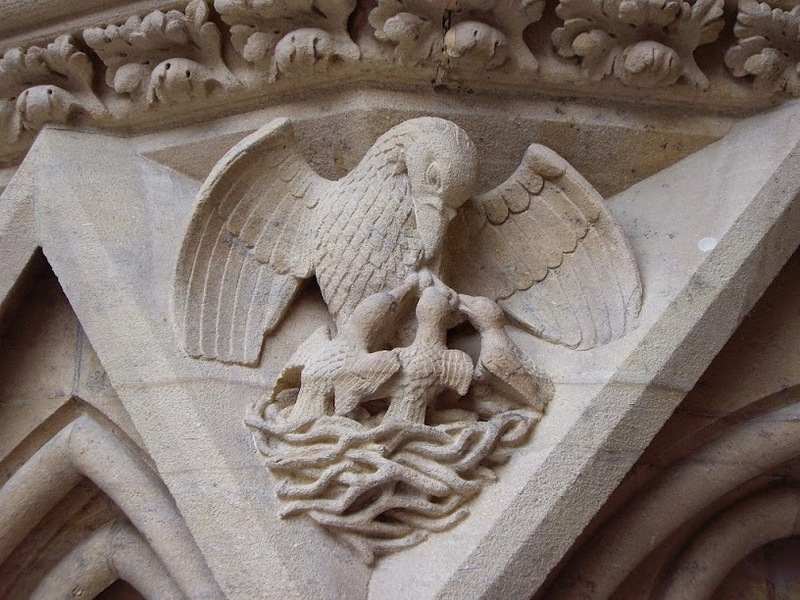 The representation of a pelican piercing its breast to feed its young with its own blood is called a “Pelican in her Piety.” It can be found in illuminations, stone reliefs, gold jewels, paintings, stained glass windows and more, from the Middle Ages to the modern era. 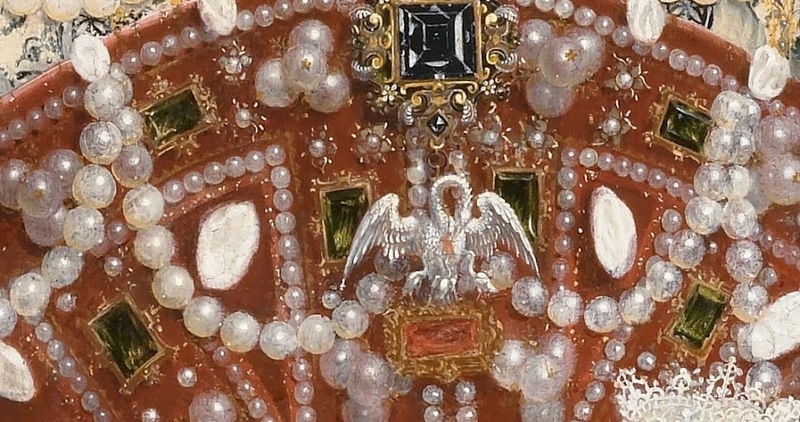 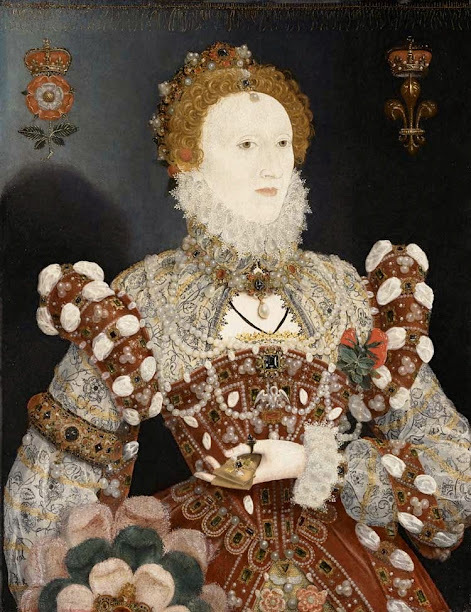 One of Queen Elizabeth I’s most famous portraits is called The Pelican Portrait, based on a similar pelican jewel in the painting (just above her hand), which suggests that the Queen is like a mother pelican, sacrificing herself for her country if necessary. 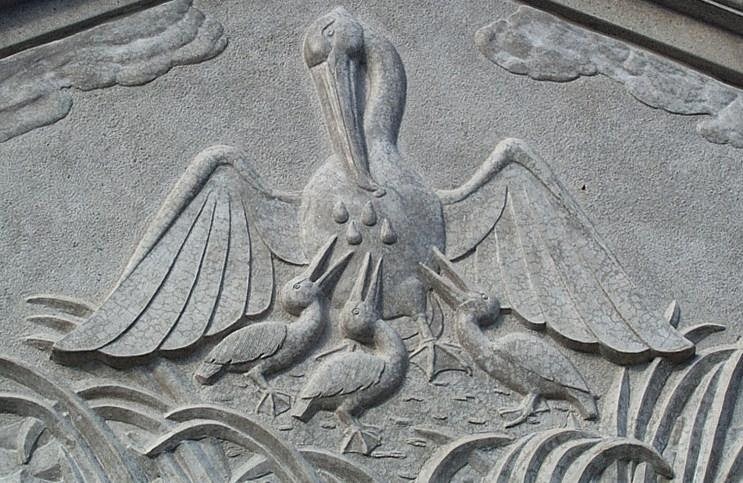 Sometimes the bird doesn’t really look like a pelican in such representations, but if it’s feeding its young with drops from its breast or if its beak is piercing its breast, it’s definitely a pelican, and it represents self-sacrifice and charity because it was believed to feed its young with its own blood.